The local elections will be held in less than 1 weeks time on Thursday 3rd of May 2018 when 1/3rd of Sheffield's city council seats are up for election, that's 28 out of a total of 84 seats. The current make up of the council has the Labour party on 56 seats resulting in an commanding majority of 28. Which has effectively allowed the Labour council free reign to adopt whatever policy they chose fit regardless of electoral consequences, and when criticised for some of their 'crackpot' actions such as signing a contract with a Spanish owned contractor that includes a target to to fell HALF of Sheffield's street trees at a time of climate change catastrophe, Labour councilors have tended to respond by referring to their strong electoral mandate. So will Sheffield Labour council's tree felling rampage have any effect on the size of their majority at the ballot box on May 3rd? 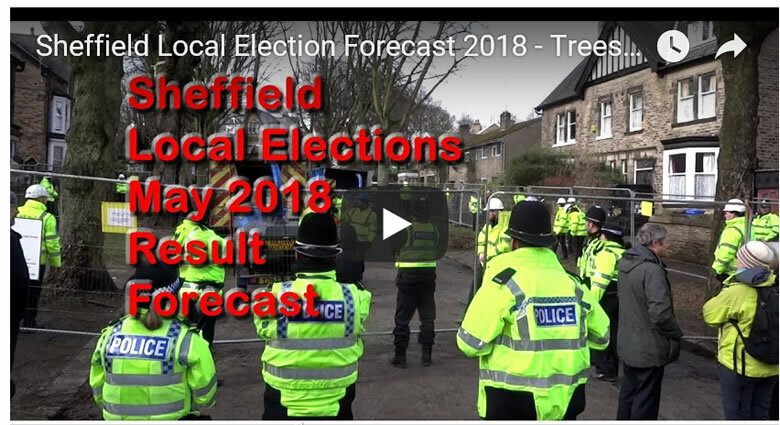 Find out in my latest video analysis that seeks to forecast the probable outcome of Sheffield's city council local elections.